So California Hasn’t Had Rain in a While, What’s the Big Deal? With California’s agriculture production accounting for 15% of the U.S. crop sales, the continuous drought has upset both the economic and social communities. Along with the drought the groundwater levels have declined drastically. Groundwater directly supplies about 30% of the state’s water and about 85% of its drinking water. In addition, wildfires are more likely due to the drier hotter climate. 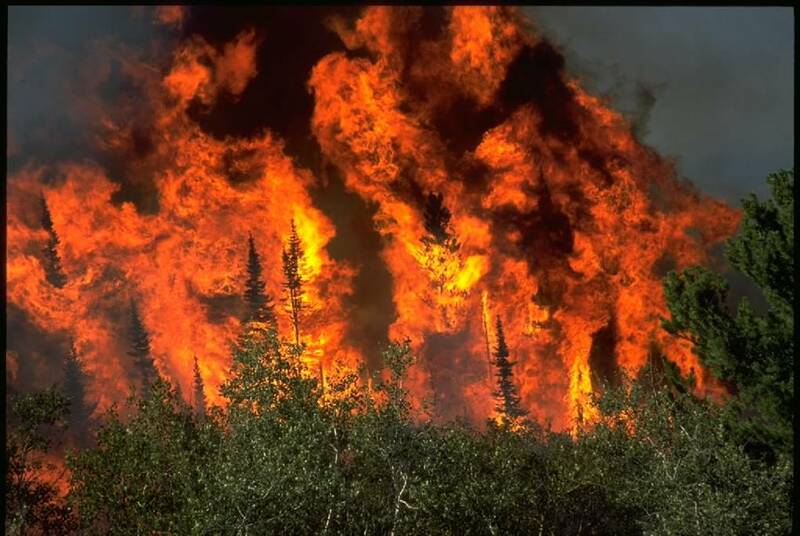 Wildfires have many longer term impacts besides burning down many trees and underbrush. They damage homes and other structures in their way causing harm to people and animals. Increasing wildfires lead to an increase in landslides and floods because the water will not absorb into the charred ground. The floods and landslides contaminate the already scarce water supply. Due to the scarcity of water, there have been “water-wars,” where citizens wish to draw water from the Delta-Mendota Canal that protects wildlife. The future of this delta’s structure depends on the choices that these citizens make. Authorities must decide how to allocate the evermore scarce sources of water. Water rights are being taken away from farmers, disabling them from producing crops. Along the lines of water supply, communities where residents use more than 165 gallons a day will have to cut their usage by 35%. Besides the water supply, food supplies have been affected as well. 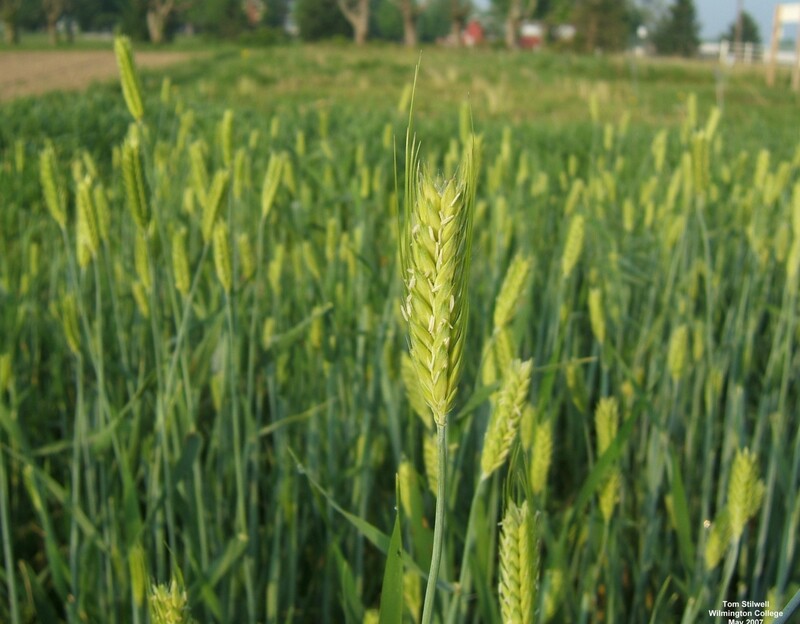 Agriculturally, farmers do not have enough water to cultivate their crops. This threatens the food supply of the United States because as mentioned, California produces about 15% of the nation’s crop sales. The United States trades its goods with other countries and the loss of goods from California will ricochet around the world. California has had a $40 billion a year farm economy, but they can’t keep up with it because there’s not enough water. California produces 84% of US peaches, 94% of US plums, 99% of US artichokes and 94% of US broccoli, leading the nation in much of its farm exports. 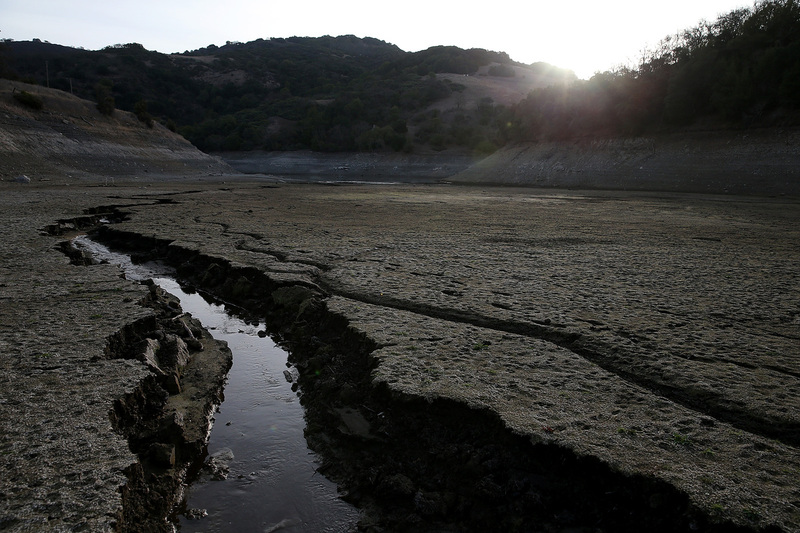 No continuous rain has watered Californian lands for the past three years. The dry spells have halted much of Californian farming, taking away a large portion of American farm economy. A vast zone of increasing pressure over the West Coast is blocking Pacific Storms from coming ashore to California. Instead, it is deflecting them towards Alaska and British Columbia. High pressure zones are very common to the Pacific Northwest; however, most break down within a month and allow rain to get to California. This particular zone is stubborn and has withstood movement for 13 months. It’s proving to be one of the most persistent and strongest high pressure areas in Californian history. According to Bob Benjamin, a forecaster for National Weather Service, in Monterrey, “This ridge is sort of a mountain in the atmosphere. In most years, it comes and goes. This year it came and didn’t go.” Meteorologists have predicted unbroken heat soon to be carried by southeastern winds. Several heat waves have brought temperatures that broke 100 degrees Fahrenheit that have evaporated reservoirs. Economic instability, insufficient supply, and drought…What do all of these have in common? Water or at least a lack thereof. In the midst of many water problems worldwide people have been searching for solution to the wet issue of inaccessibility. The answers have been living in Peru the whole time. They are called fog catchers. No, not dog catchers, the scary guys who drive down the street who capture cute, fury animals, but fog catchers. In fact, fog catchers are not even people; they are the water innovation of the future. 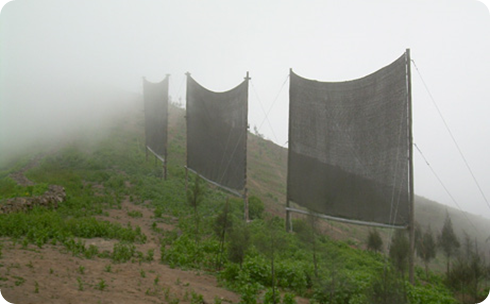 A fog catcher is specialized type equipment designed to trap water droplets from fog in the air. These catchers are typically made from metal, wood, or bamboo as the posts, and mesh for the actual net. When the mesh net captures the fog, the water drops from the mist roll down and are sent through PVC gutters to an organic filter and then finally to a tank or barrel for storage. 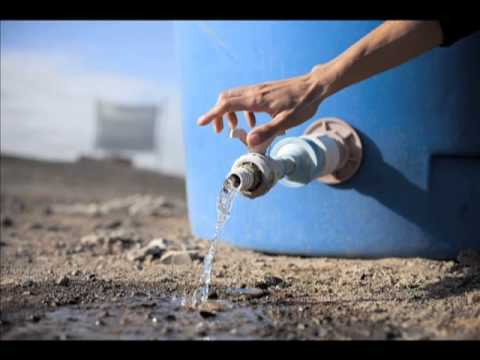 These innovative and relatively cheap machines enable dry areas to obtain water. Fog catchers take advantage of the fog that rolls in from the coast in areas like the mountainous Peruvian desert. The water collected from the fog catchers are typically used for irrigation because the water harvested is not safe to consume. Due to this technology, many Peruvian farmers no longer have to struggle with their crop production amidst a major drought or other environmental obstacles. Fog catchers are amazingly efficient at producing water. One fog catcher can produce fifty to one hundred fifty liters of water daily per household. Deserted, Lima in Peru has only four centimeters or less rainfall annually. However, since Lima is also known to be humid, up to ninety-eight percent, fog catchers are the perfect way to supply water. They are also easy to build and cost roughly around five hundred dollars each. Although the water produced from fog catchers is not drinkable, it is used for agricultural purposes and making beer. There is currently a project going on in Lima, which goal is to have 1,000 fog catchers that would capture 200,000 to 400,000 liters of water per day. These fog catchers potentially could be used throughout the world, which hopefully solves the problem with water security. 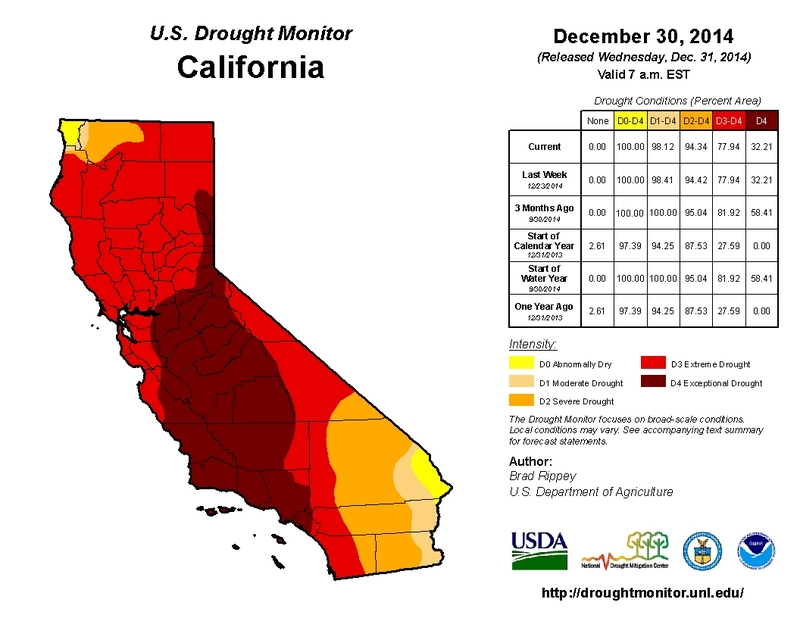 Currently in the United States, California is suffering from one of the worst droughts in history. From 2013 to now, California has not averaged more than four inches of rainfall per year (similar to the conditions of Peru). This scarcity of water has the potential to cause great agricultural and economic devastation. Produce is increasing in price, farmers are losing their money and, of course, water is getting more expensive. 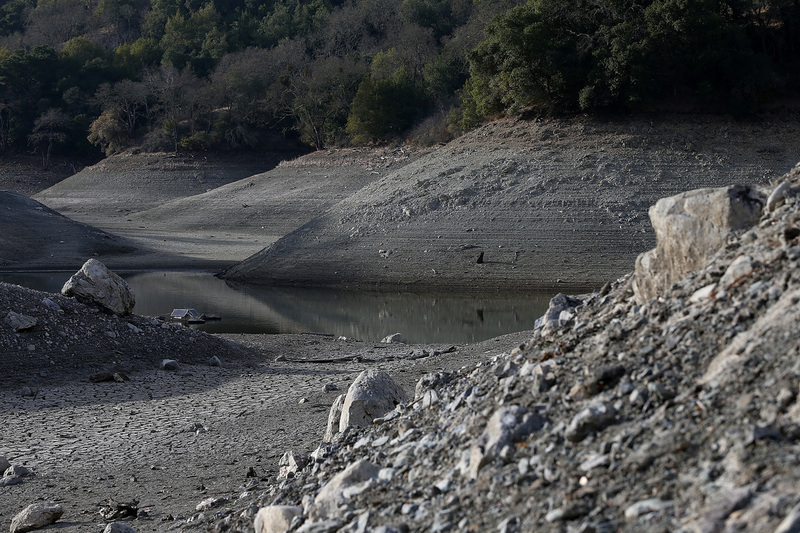 Some scientists even believe that if the drought continues on, California will deplete its water resources within a year. This emergency requires people to be innovative in finding new sources of water and fog catchers could be solution to their problem. Just like in Peru, California should implement fog catchers to help with the current drought. If you are interested in learning more, watch the video and check out the links we have attached below! Since 2011, millions of Californian fish have died due to rising water temperatures associated with the water loss from the ongoing drought. Nimbus Hatchery has been forced to evacuate the fish and relocate them to the Feather River Hatchery Annex until the water temperatures subside. 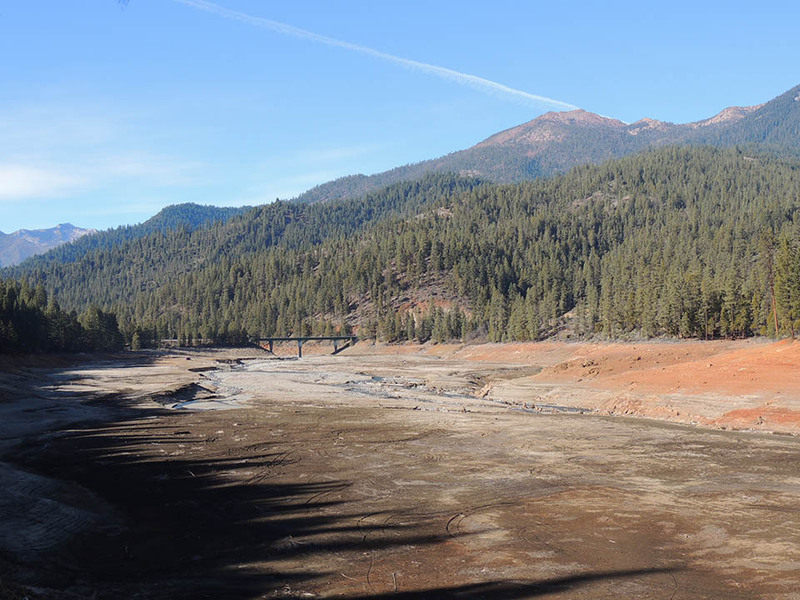 Staff evacuated the American River and Nimbus hatcheries due to low flows making water temperatures reach dangerously unsustainable heights for the fish there. Nimbus Hatchery has already begun relocating some 330,000 steelhead to the Feather River Hatchery Annex to be held through the summer. In addition to the Feather River Hatchery Annex, many trout and other Californian fish are being transported to the American River Hatchery. Here, a new hatchery building uses advanced technology such as water filters, ultraviolet sterilization techniques, and large water chillers to idealize water quality and temperature for the fish. Although many state-of-the-art technologies are currently in use, they are not enough on their own to save all of the fish. “This year, conditions are forecasted to be dire with little flexibility in operations.” Due to the arid and sweltering climate during summer months, the water temperature will continue to rise. If fall and winter rains are received in sufficient amounts, the water temperature will cool enough for the hatcheries to resume operations. The state is also dealing with a drought-related fish disease in two north state hatcheries where up to 3 million golden and brown trout may have to be killed to stop the outbreak. The declining population of salmon creates problems for California’s $1.4 billion-a-year salmon fishing industry, as well as for the farmers who grow crops that are essential to California’s agriculture industry. 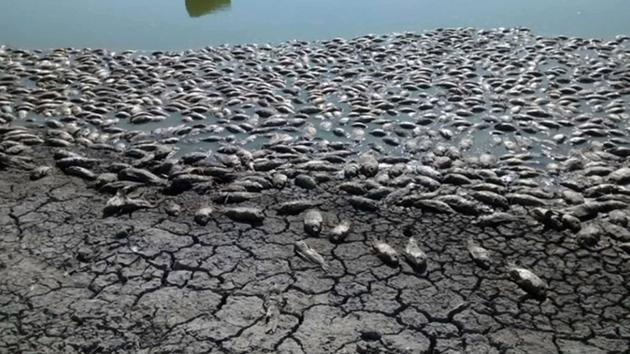 If this drought is not more heavily addressed, California’s fish industry will be immensely damaged, the availability and price of fish everywhere will be affected, and California’s environment will continue to deteriorate.